Will The ATO Consider Your Car Claim Reasonable? The ATO’s Assistant Commissioner, Kath Anderson, has issued a warning for taxpayers who are making what they may believe are “standard” deductions in regard to vehicle expenses, especially when it comes to the cents per kilometre method. For the 2015-16 income year, the ATO recorded a total of $8.5 billion in work-related car expense claims, with a “significant proportion”, it says, right at the limit that does not require detailed written records. The ATO is determined to limit what it can of this revenue leak. The ATO provides information for taxpayers on work-related car claims, which may help explain the facts. It has also provided three case studies illustrating misapplied claims. A railway guard claimed deductions for car expenses in travelling to and from work, basing his claim on the fact that he carried bulky tools (including his flag, safety vest, handheld radio, torch, instructions, and timetables) in his car. He attracted an audit because his deductions were much higher than those of other people in the same occupation. His employer advised us that secure facilities for equipment were available on the business premises, so the transportation of equipment was the employee’s choice. 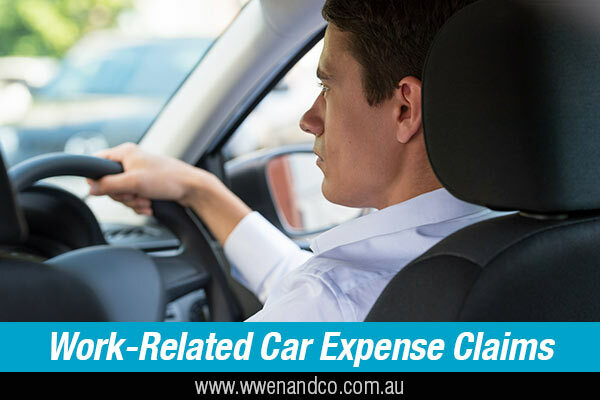 For this reason, expenses relating to travelling to and from work are not an allowable deduction in this situation, and the taxpayer had to pay $2,000 for tax owed plus interest. Need help with your motor vehicle tax claims? Call the accountants at our Epping office.